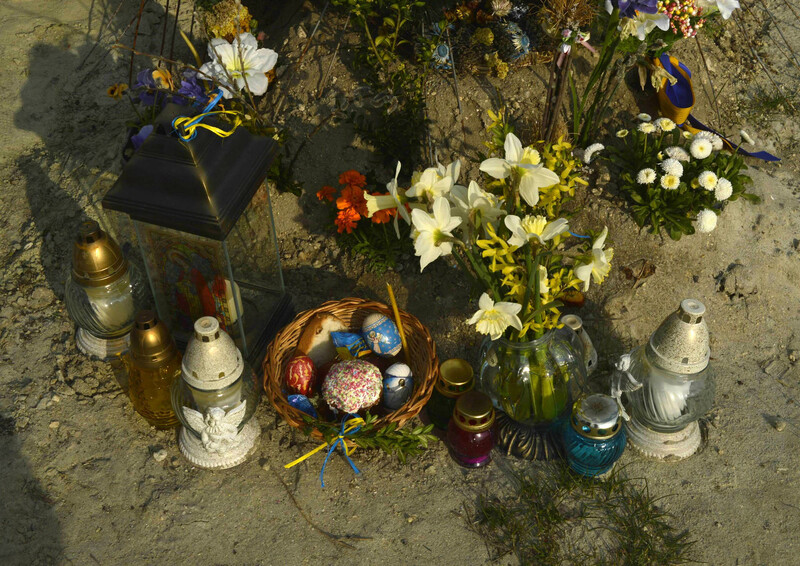 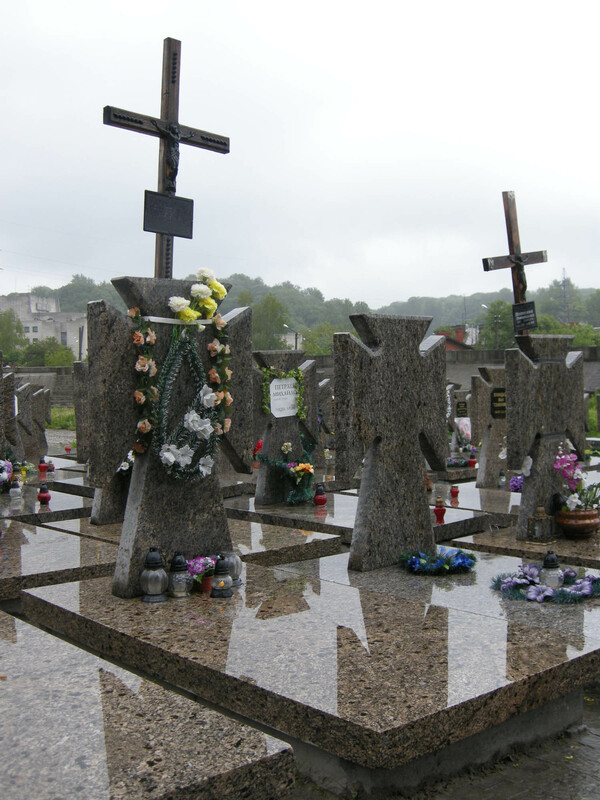 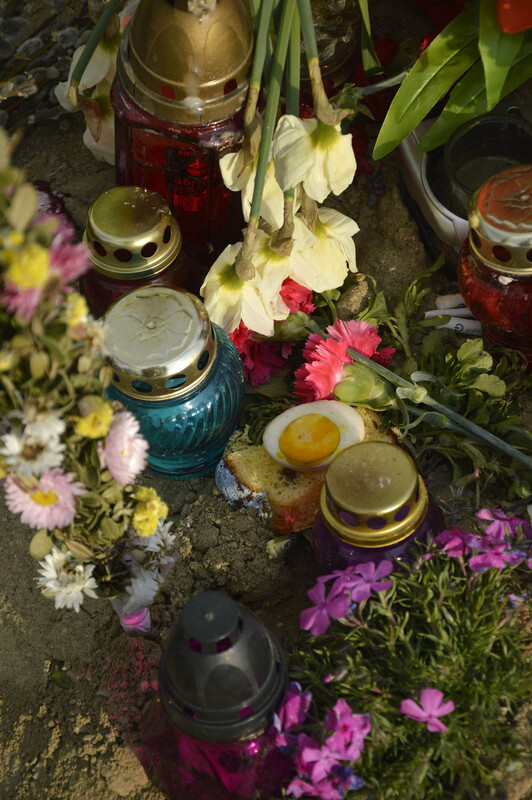 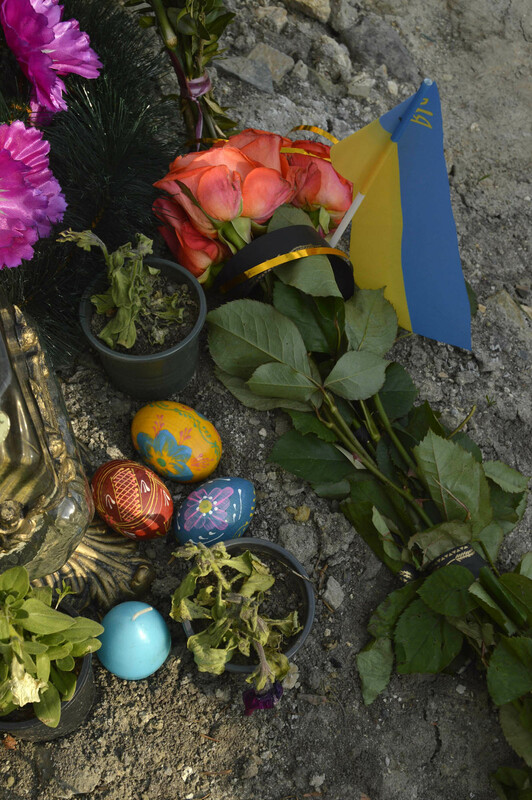 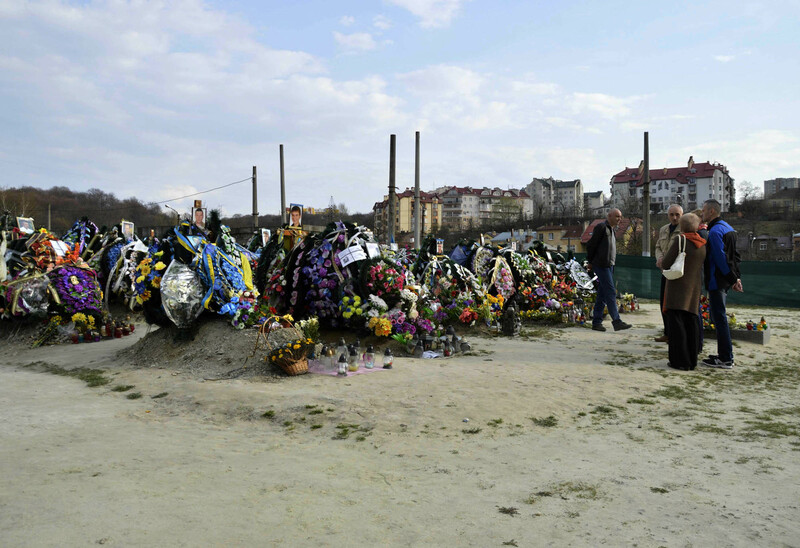 Easter in Lemberg is not only the feast of the living, but also of the dead. 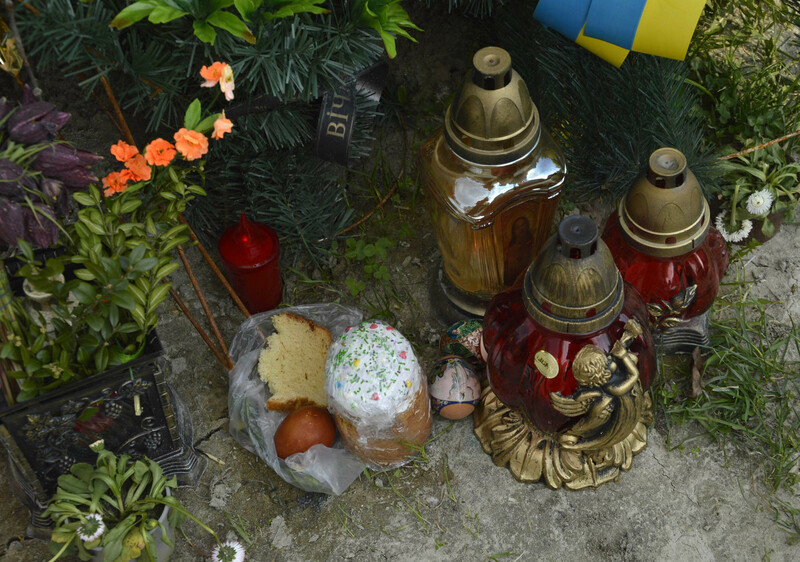 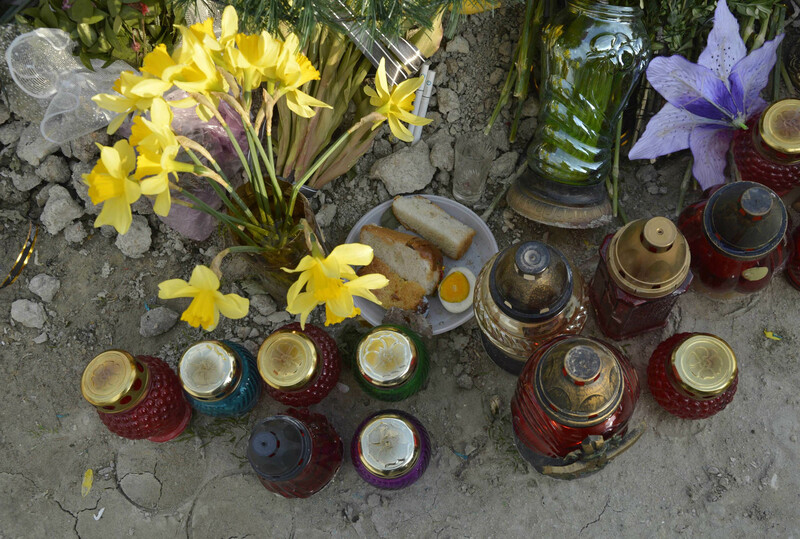 As in other Orthodox regions, at this time the families visit the tombs of their loved ones, they pray together and eat the food blessed in the previous day. 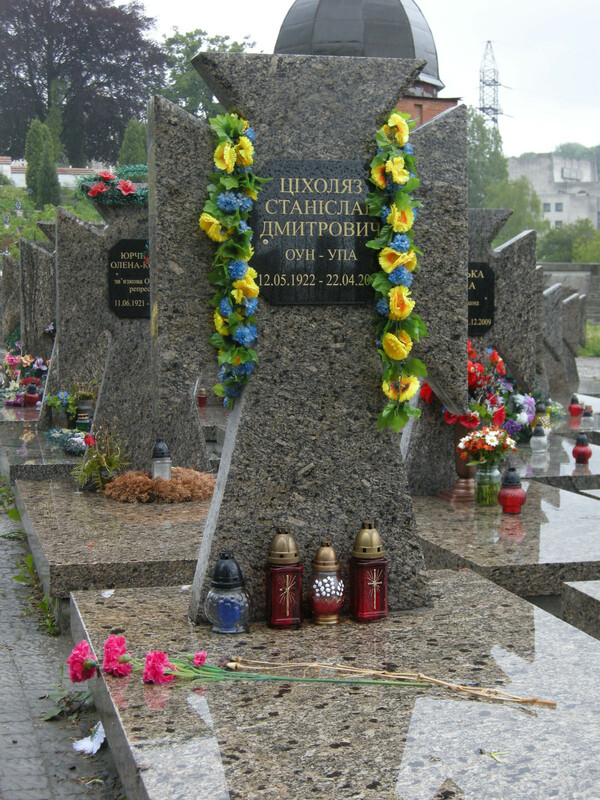 The Łyczakowski cemetery is the oldest preserved cemetery of Lemberg. 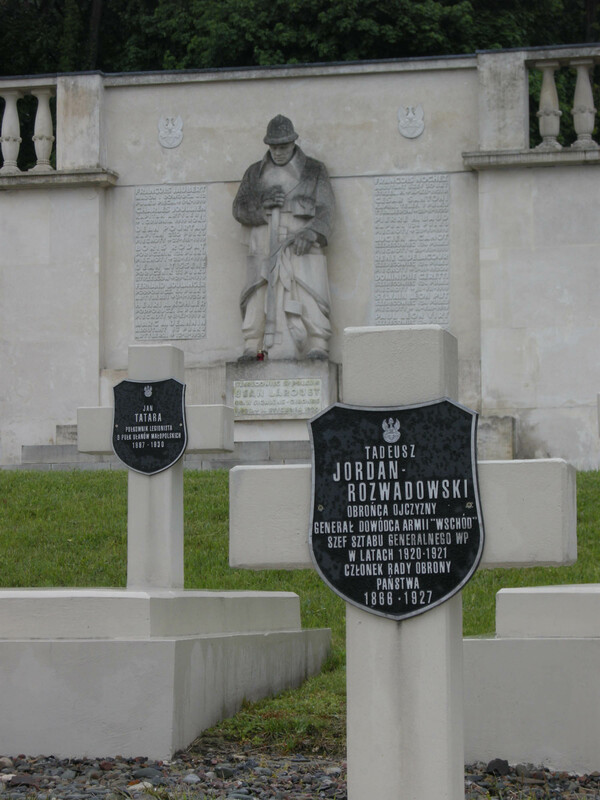 Opened in 1788, after Joseph II closed the burial grounds within the city walls, it has been considered a Polish pantheon. 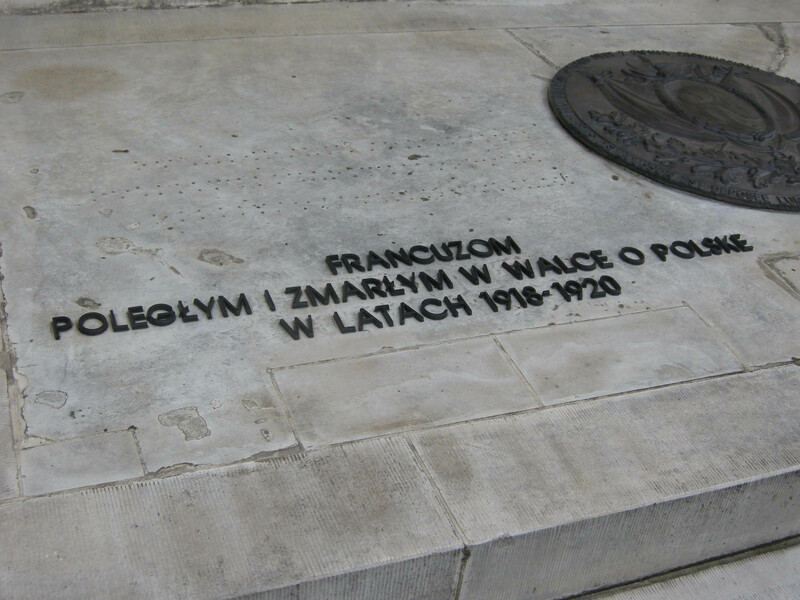 Here lies a large number of Polish artists, scientists and aristocrats, and the martyrs of the 1830-1831 and 1863 uprisings. 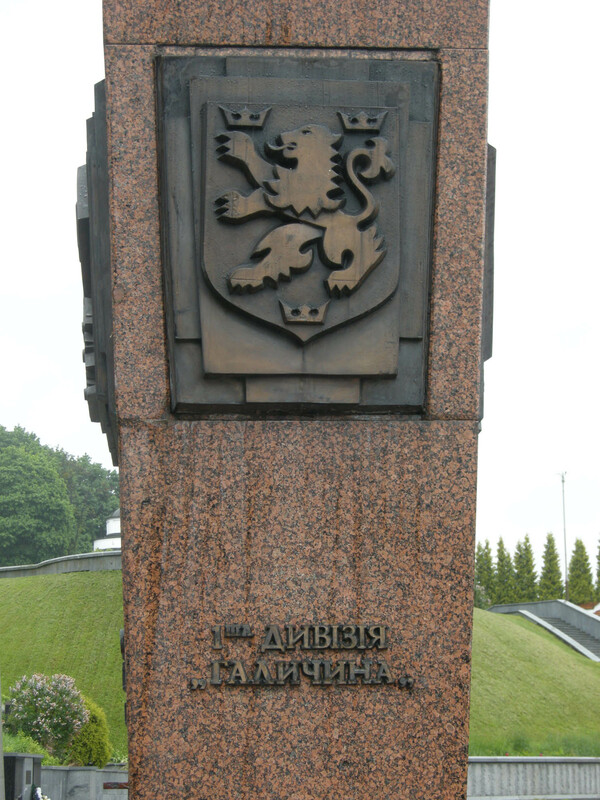 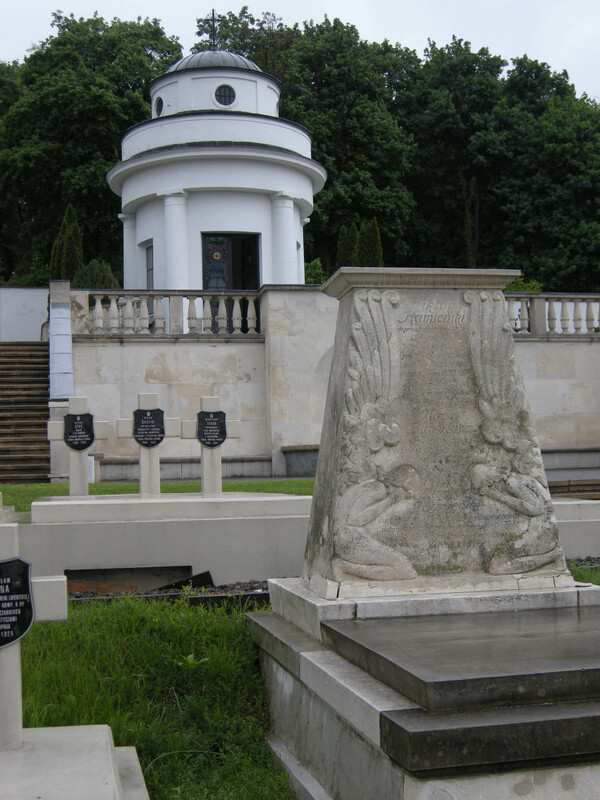 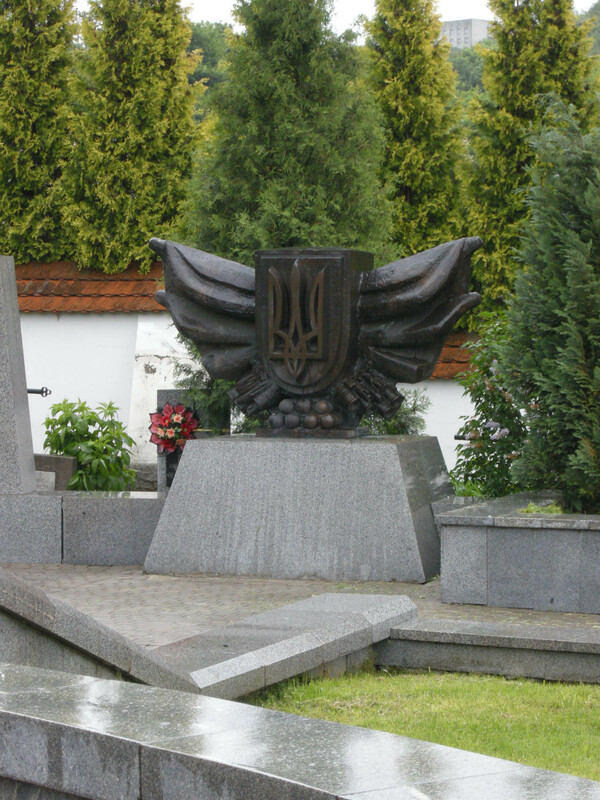 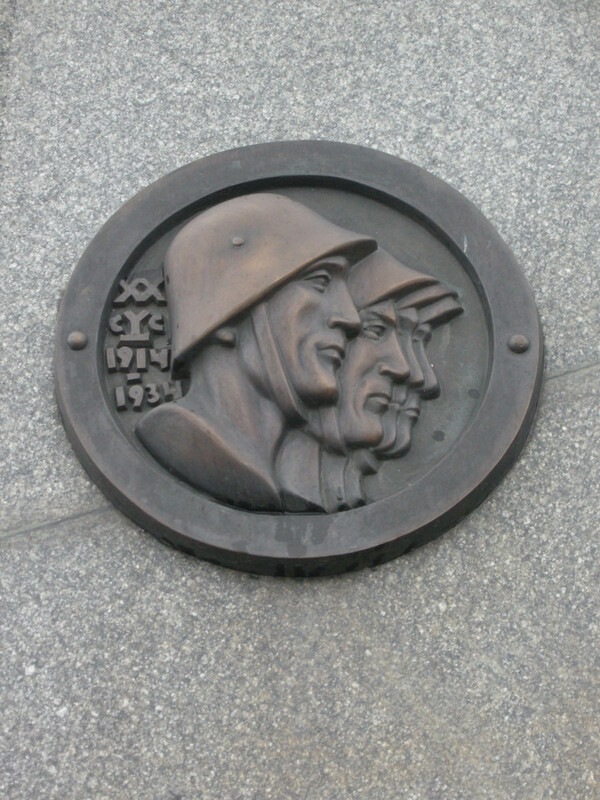 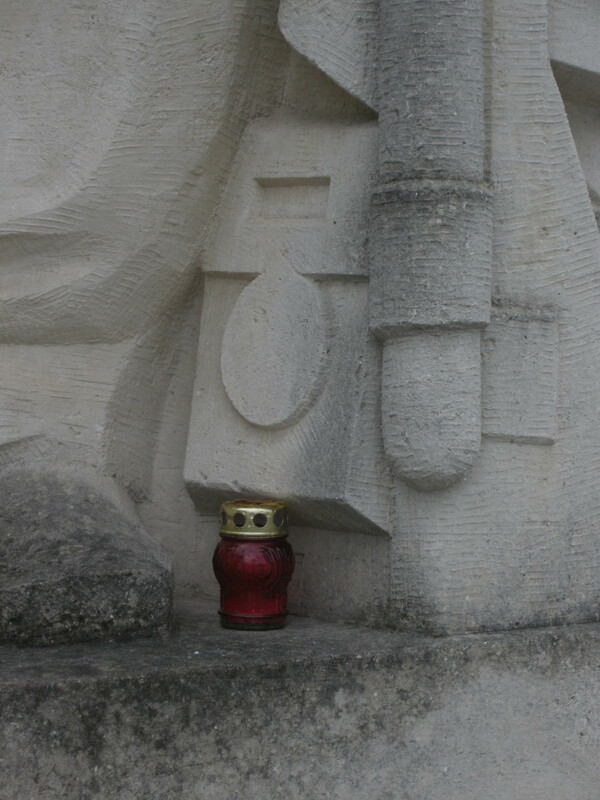 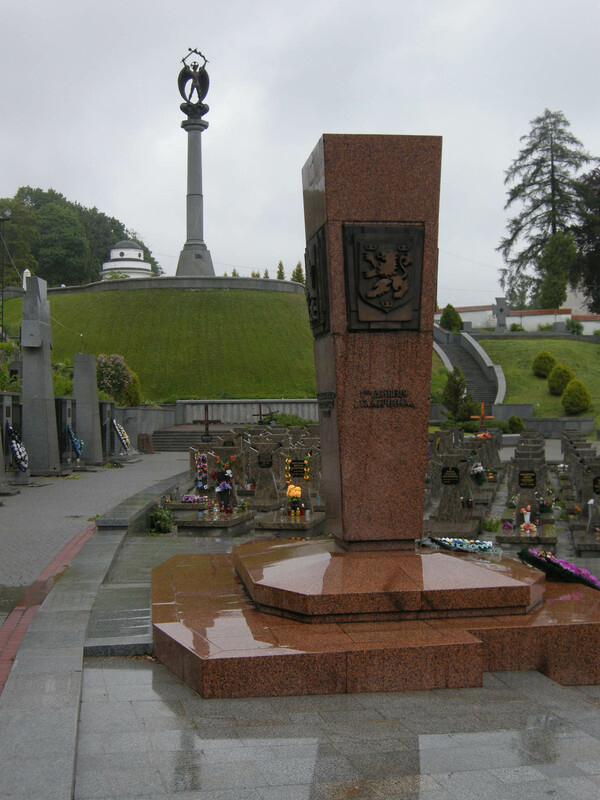 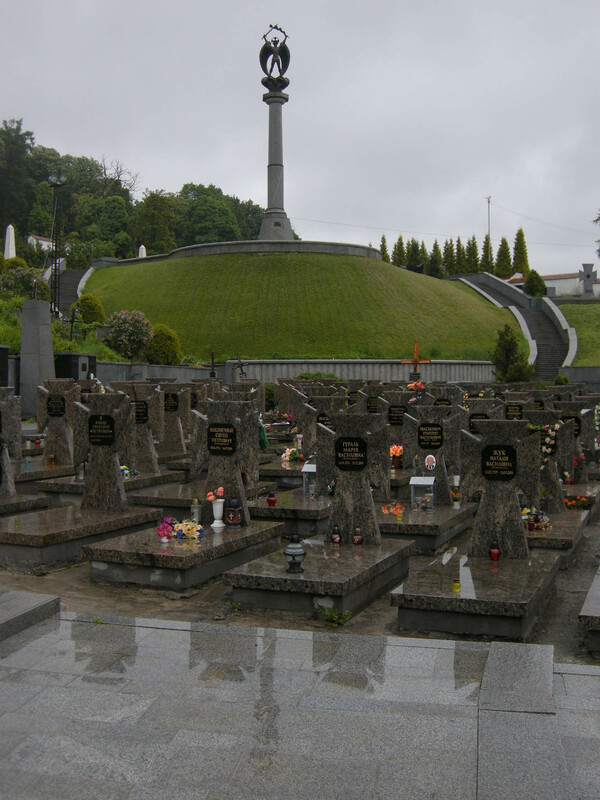 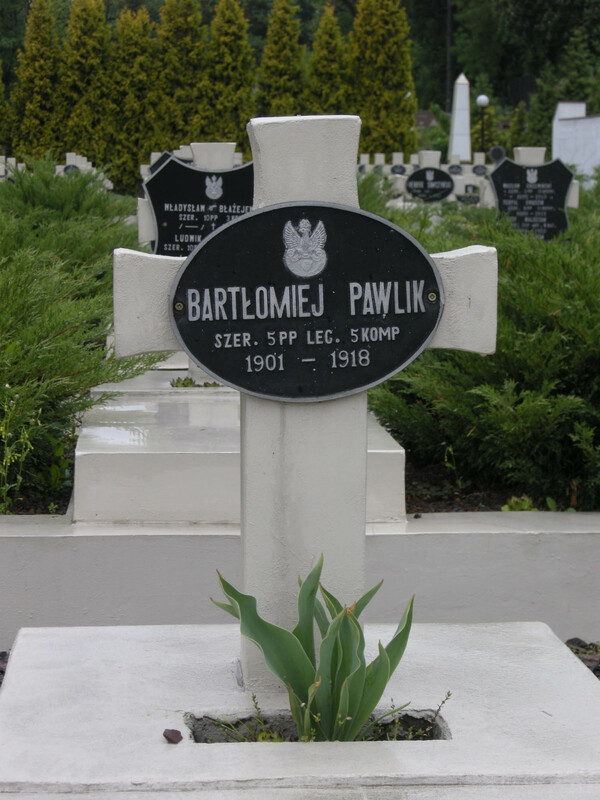 And, in the south-east corner of the cemetery, in a separate plot, the “eaglets”, who defended the lonely Lwów against the independent Ukrainian army during the Ukrainian-Polish civil war of 1918-1920, while the Polish army, led by Piłsudski, beat back Budenny’s and Stalin’s Red Army from Warsaw. 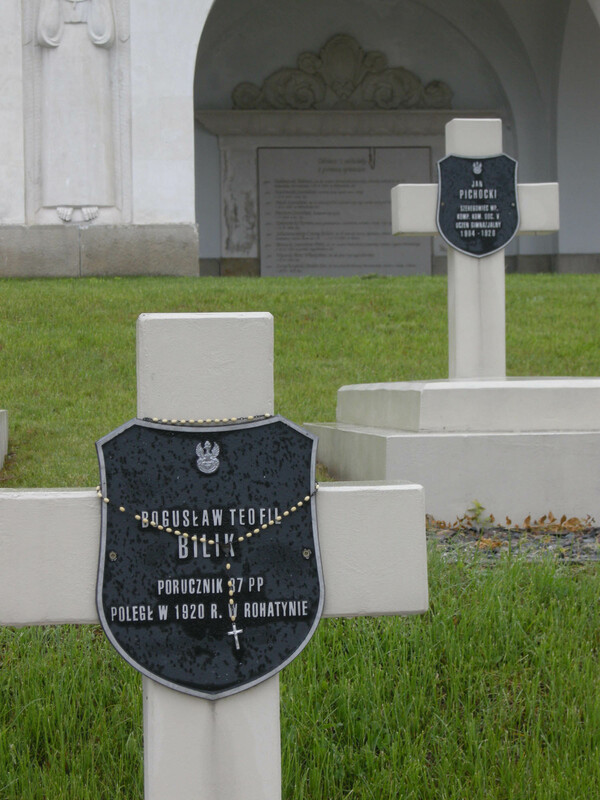 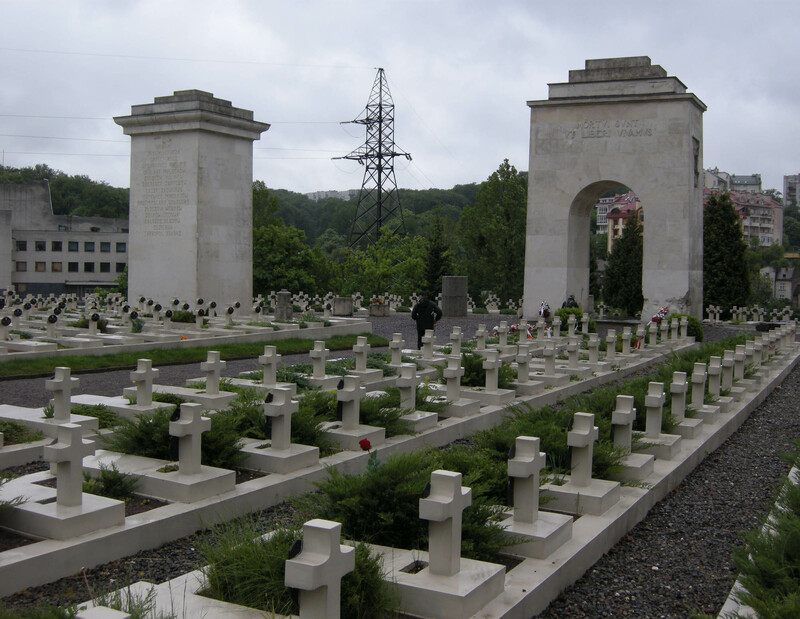 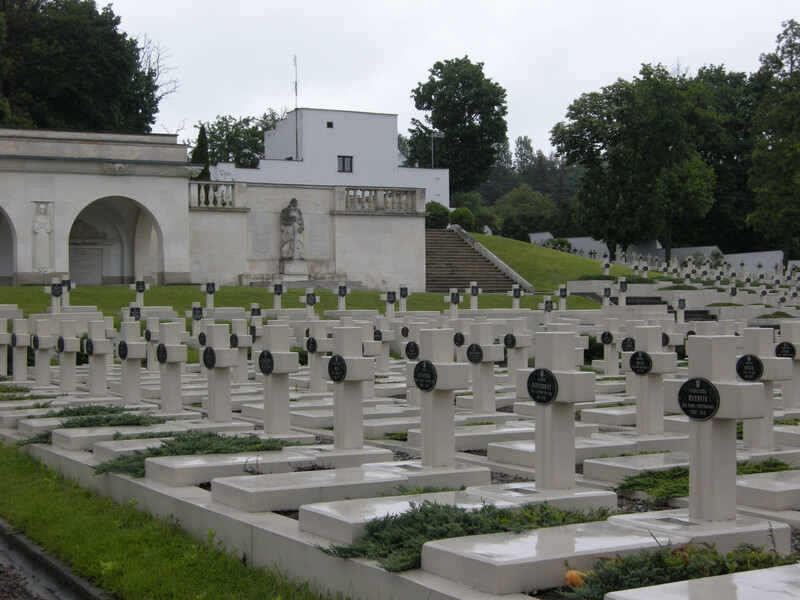 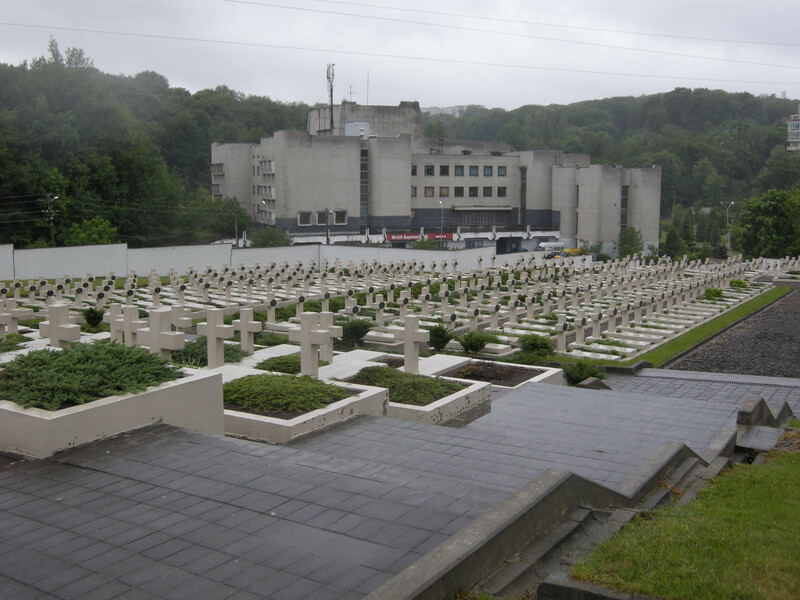 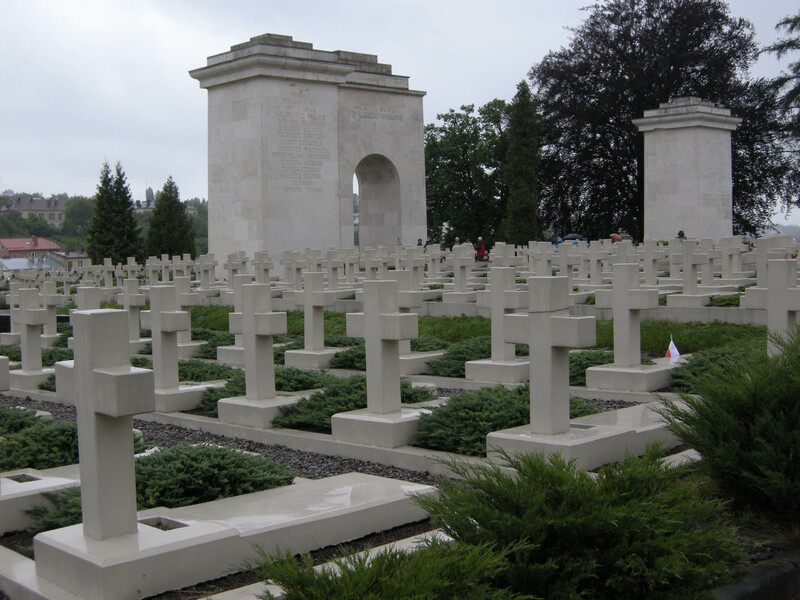 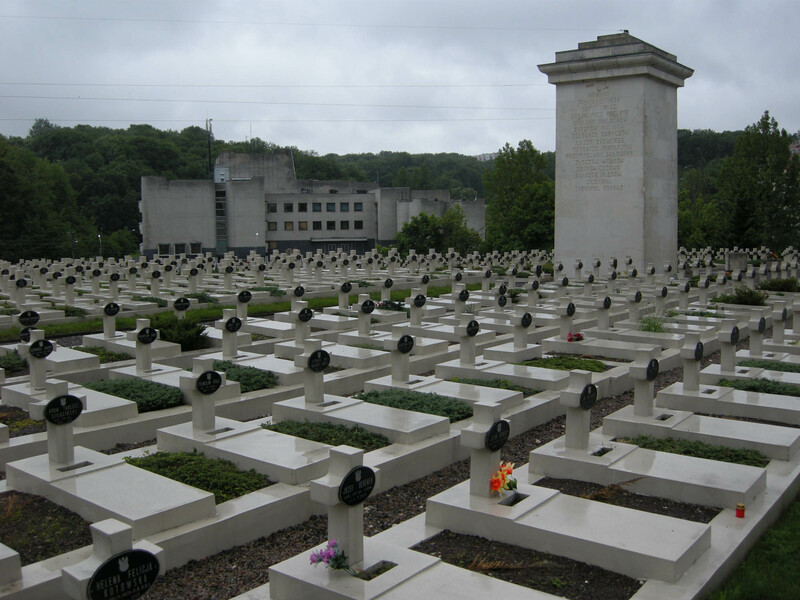 In the heroes’ cemetery, built in 1924, the names of boys and girls can be read on the white crosses which stand in long rows. 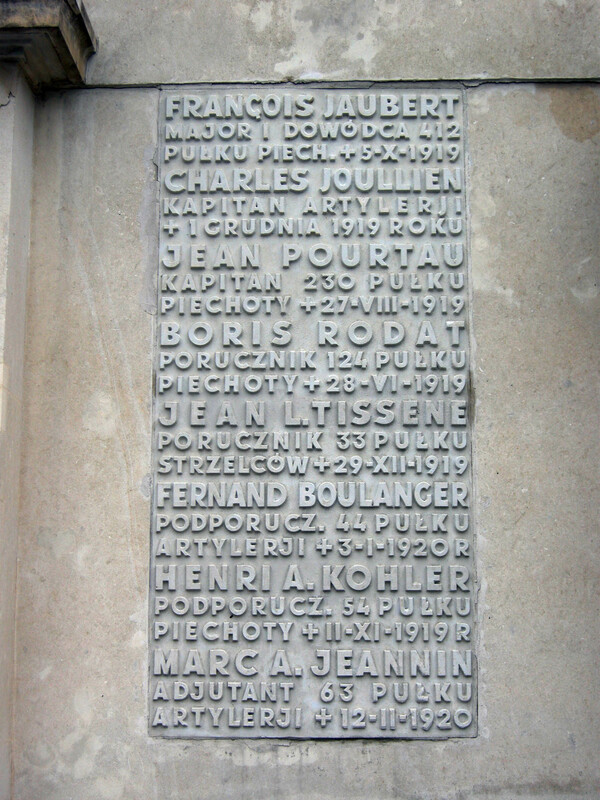 None of them were older than twenty. 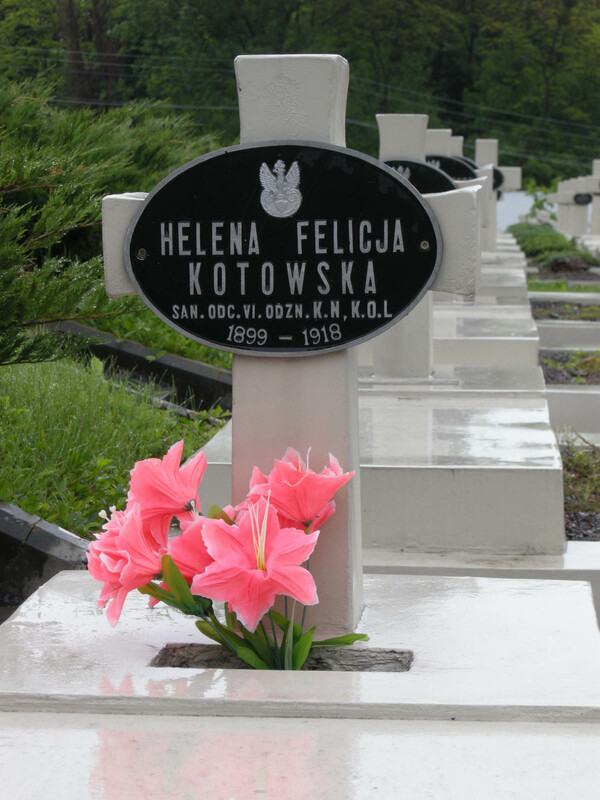 Nobody comes here at Easter, but the fresh flowers and the Polish flags testify to the fact of frequent visitors. 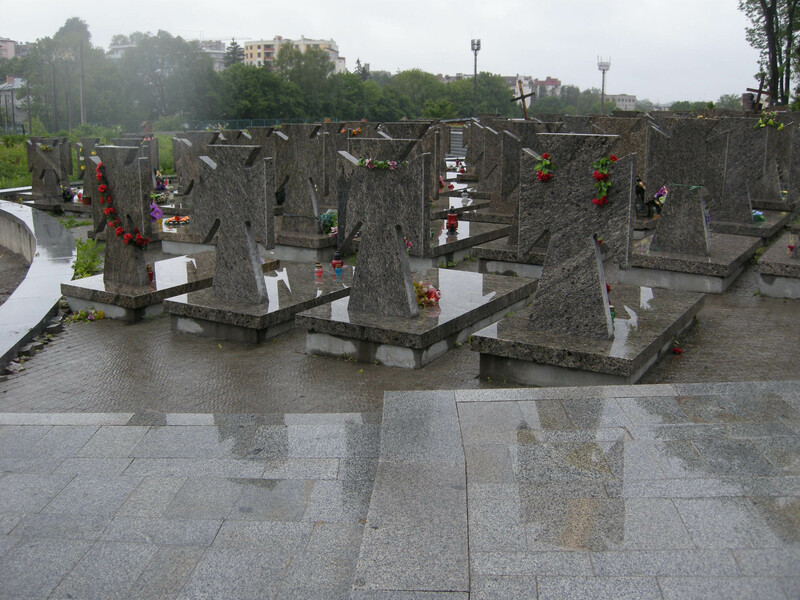 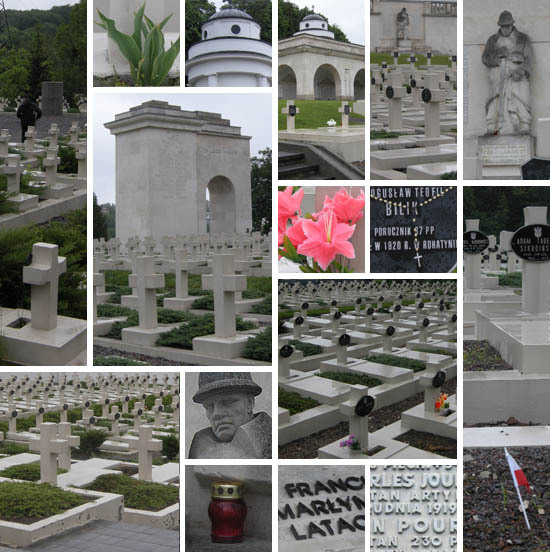 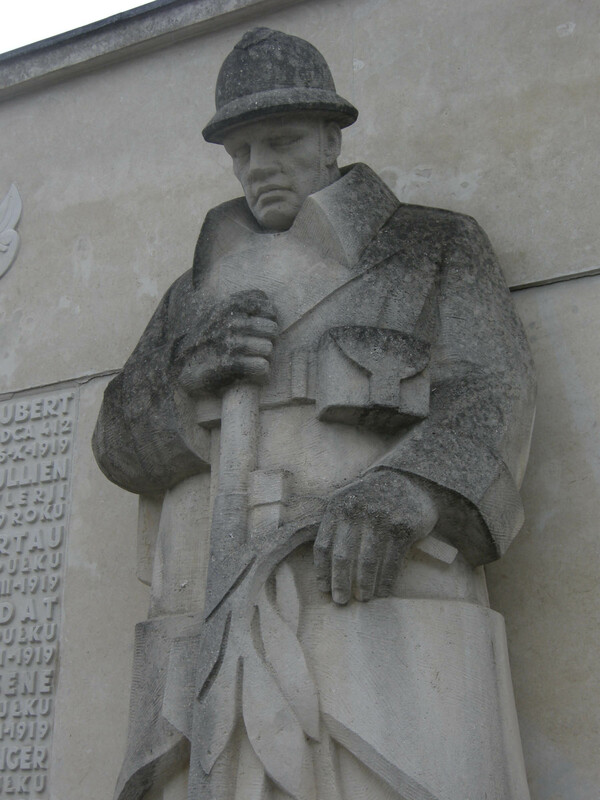 After the expulsion of the Poles from Lwów in 1945, the heroes’ cemetery also started to decay. 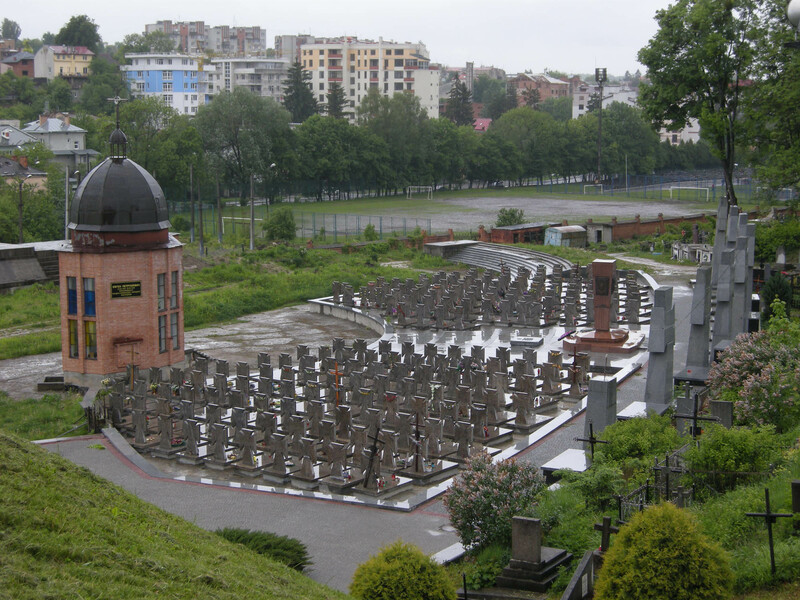 The monuments were torn down, and most of the graves were destroyed with tanks. 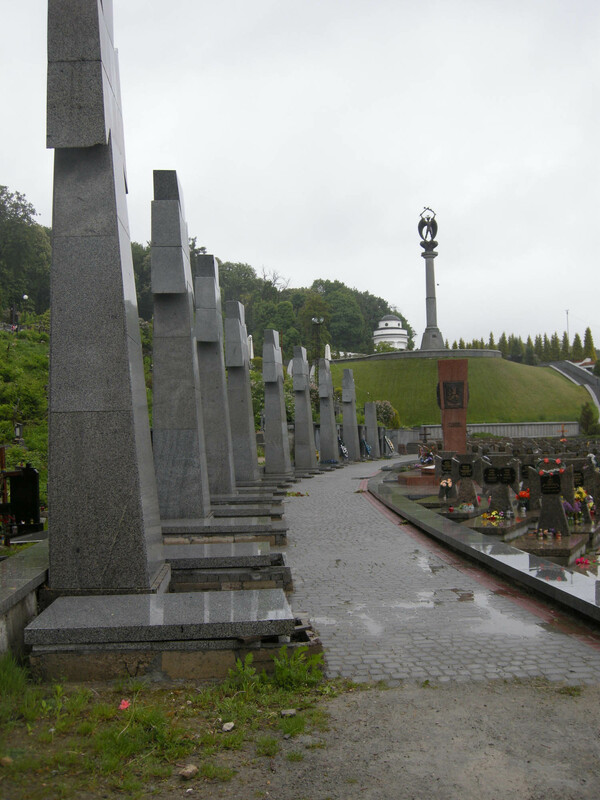 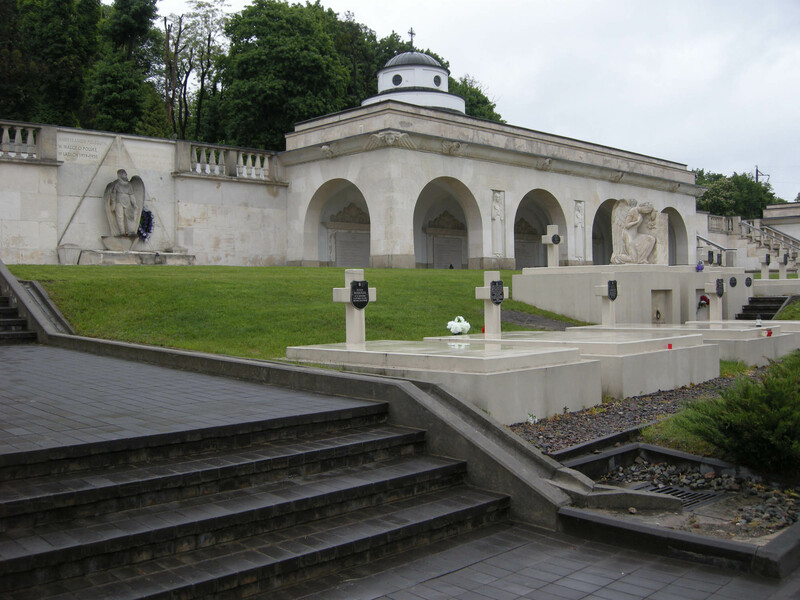 Only in 2005, after the firm support of Poland for the Ukrainian “Orange Revolution”, did the Polish government receive permission to restore the necropolis. 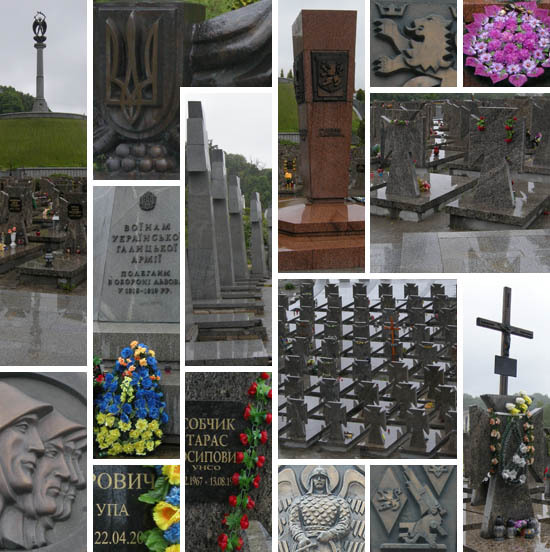 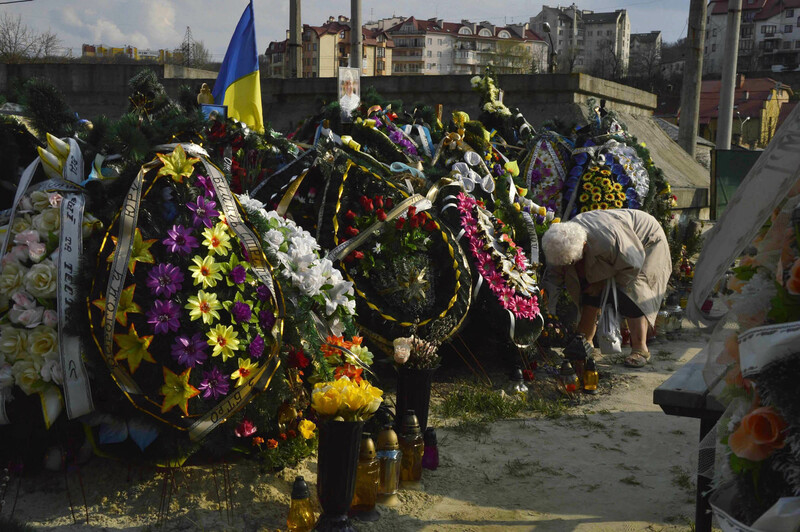 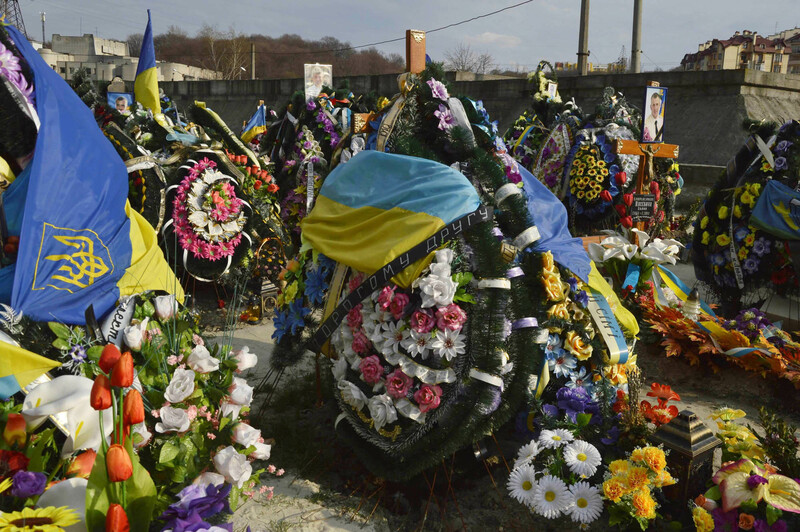 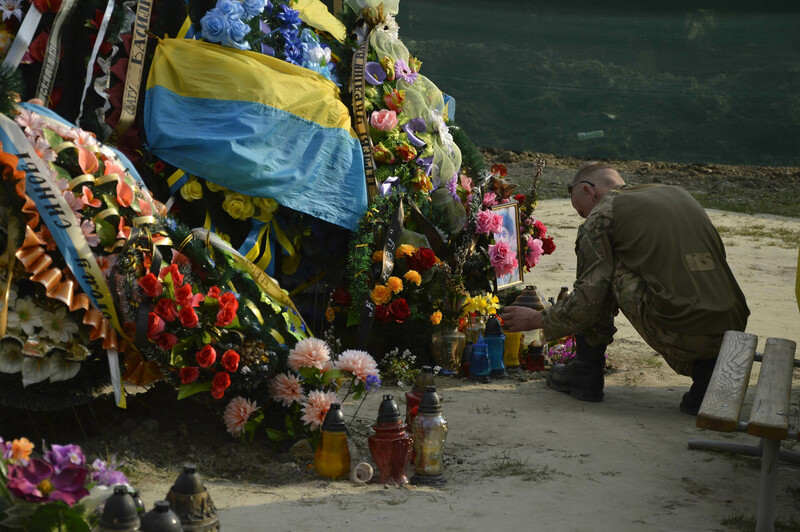 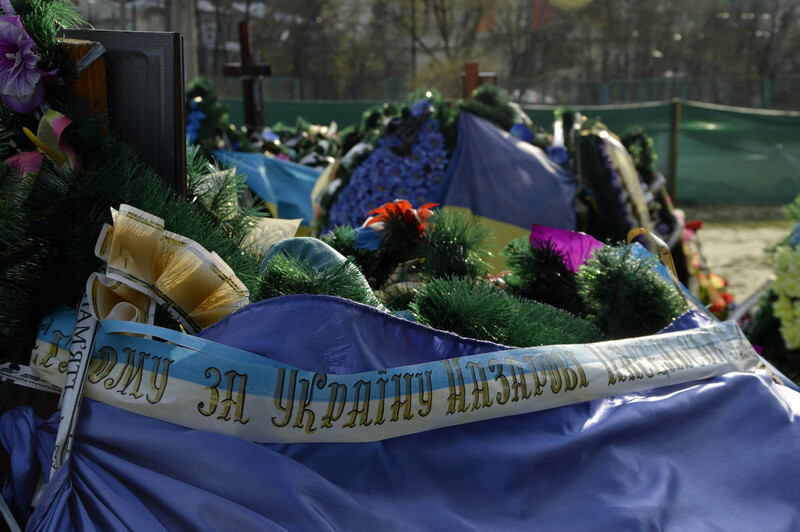 In the meantime, the Ukrainians also set up their own heroes’ cemetery in the immediate vicinity of the Polish one. 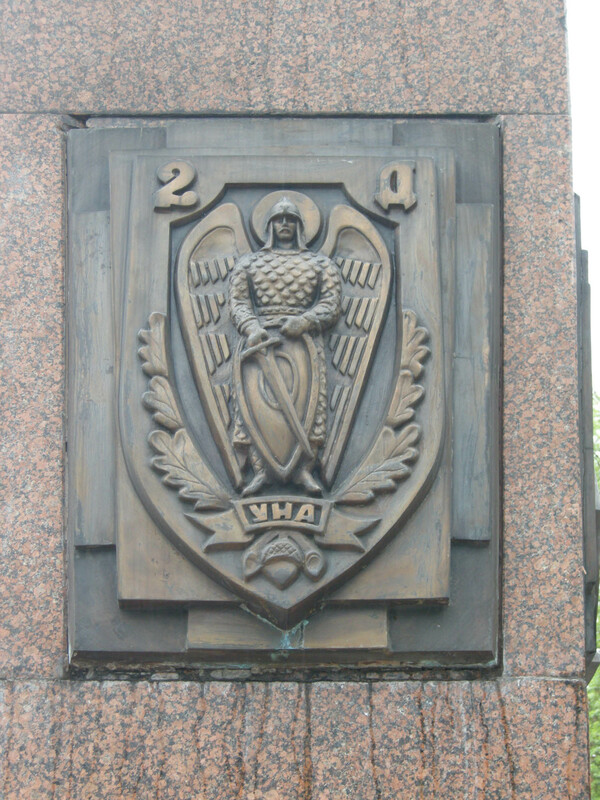 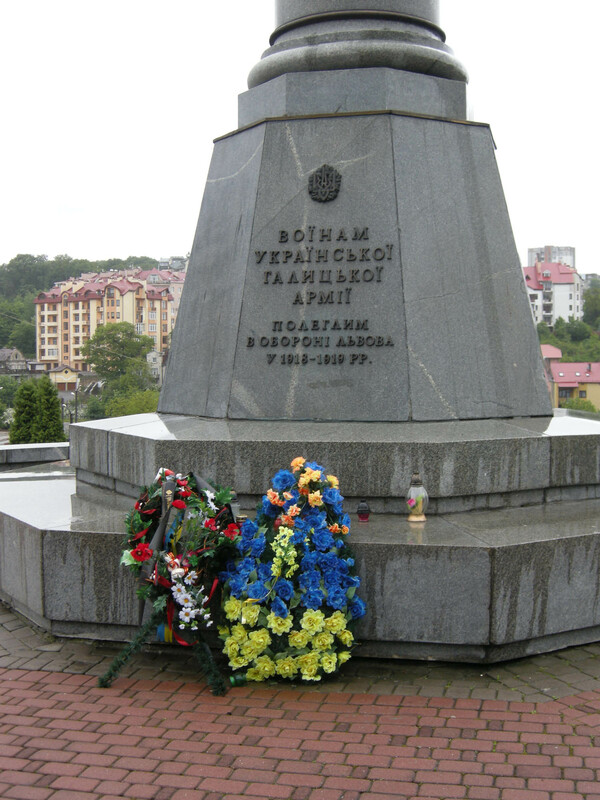 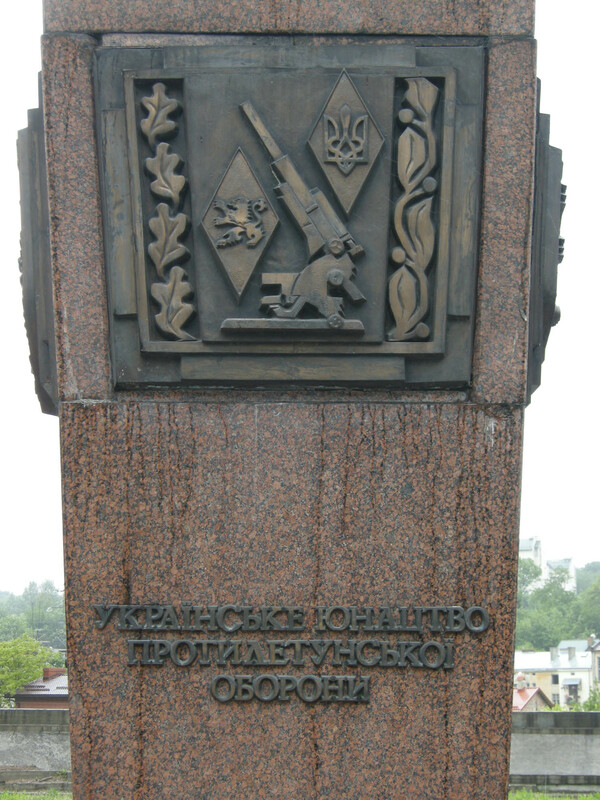 At its highest point, the Archangel Michael stands at the top of a tall column, sword drawn, and in the cemetery the monuments and the real or symbolic graves of the independent Ukrainian army of 1918, the Ukrainian SS division Galichina, the national army of Bandera, and the Ukrainian partisans fighting up until 1955 against the Soviet invaders, line up next to each other. 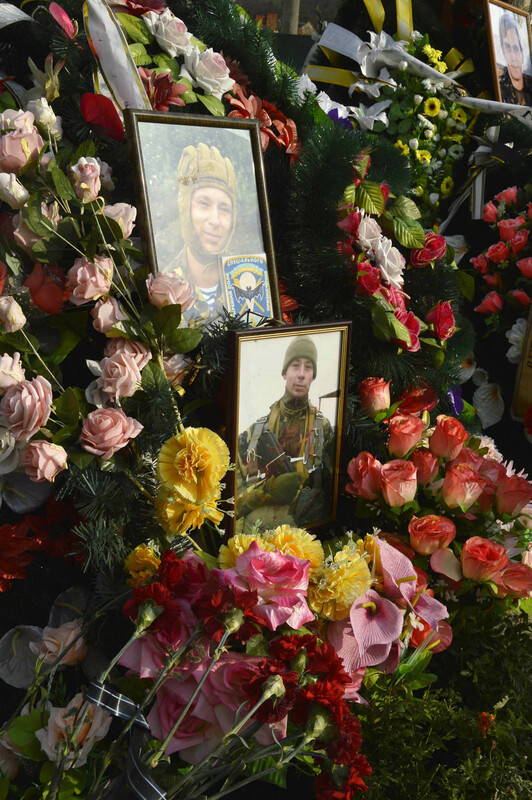 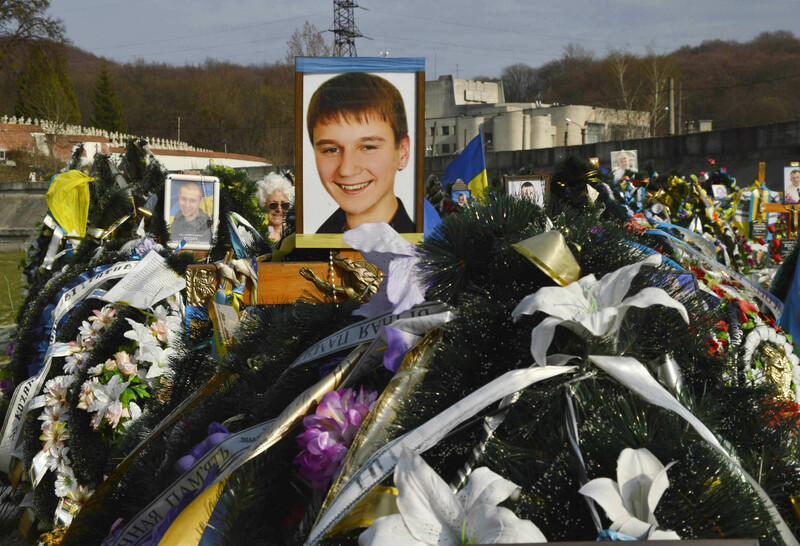 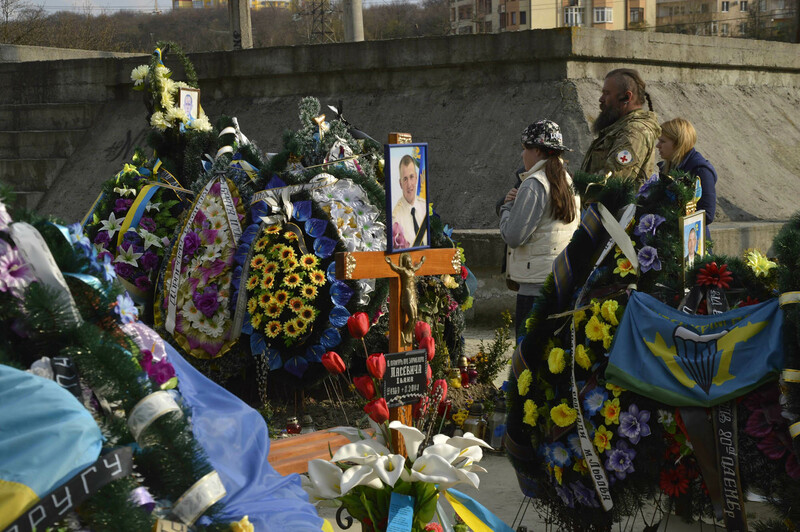 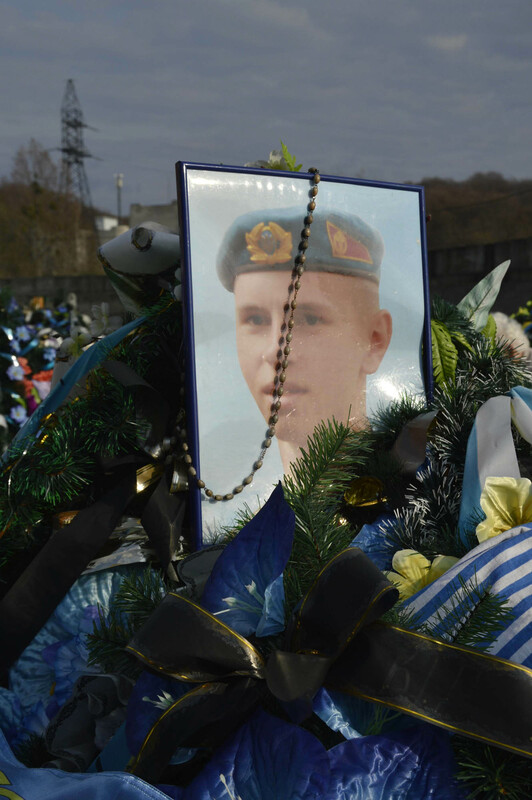 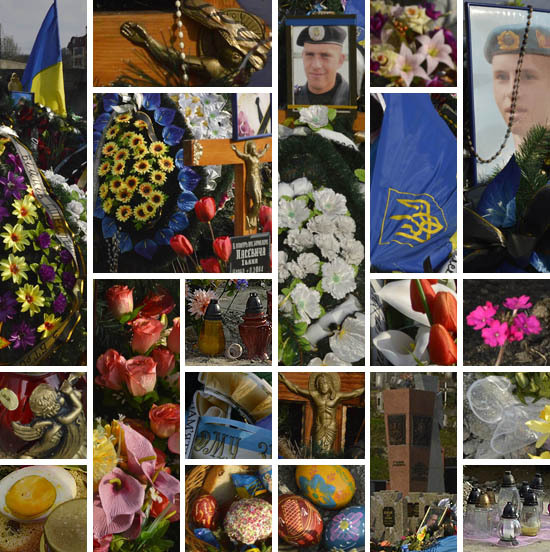 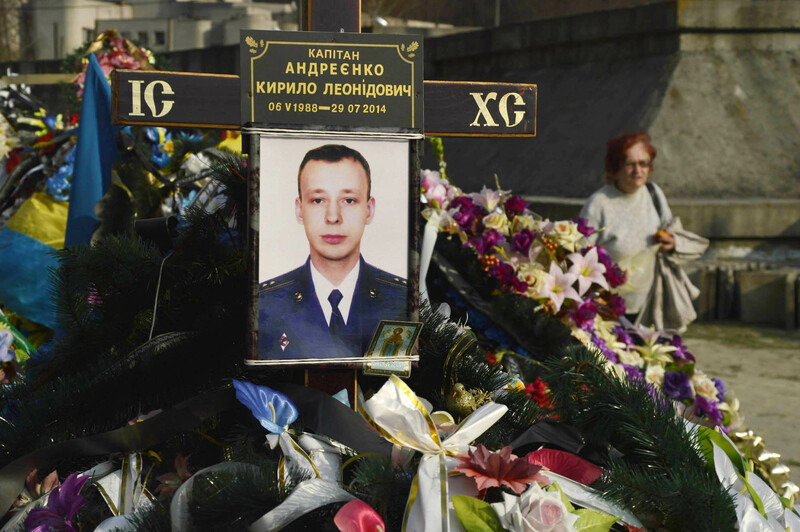 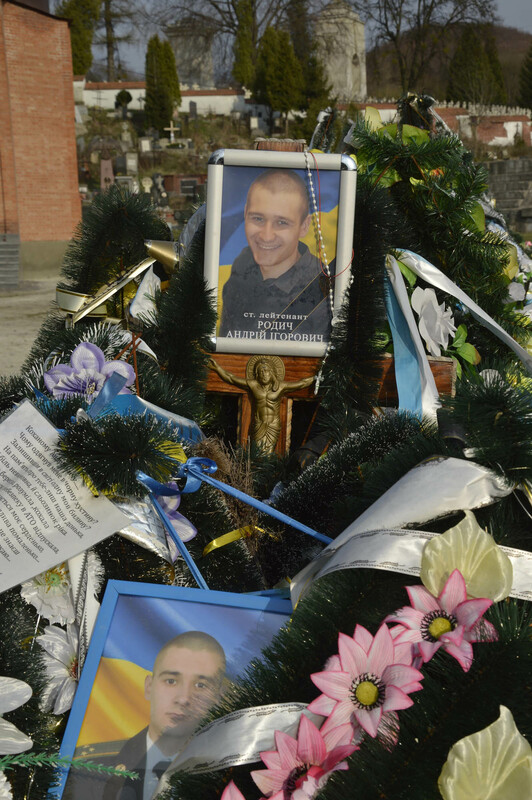 They are wreathed throughout the year, not only by family members, but also by the Ukrainian army, scouts, and patriotic associations. 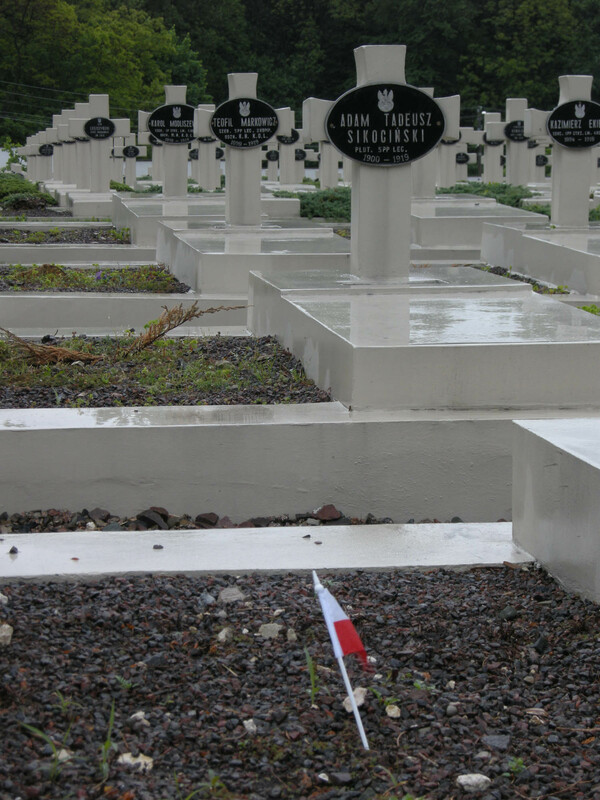 Last year a third, new, plot was opened in the heroes’ cemetery, which is now the fastest growing part of the Łyczakowski cemetery. 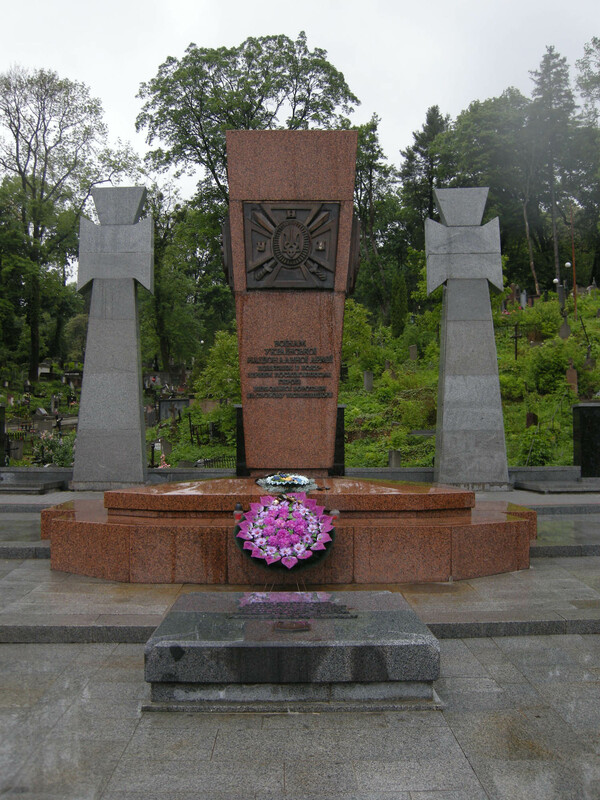 They bury here the young soldiers fallen in defense of the country’s eastern borders. 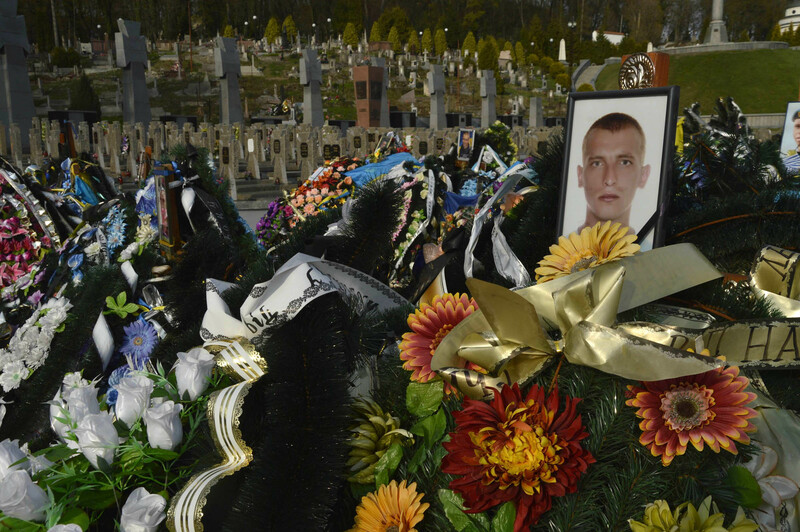 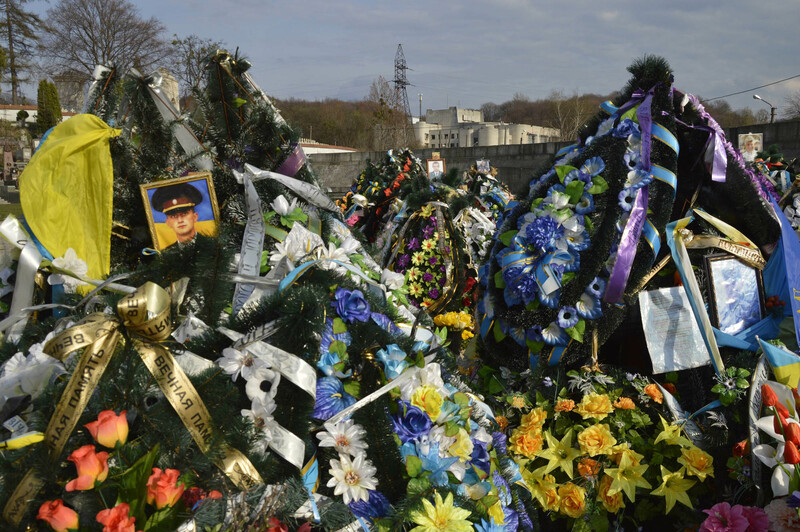 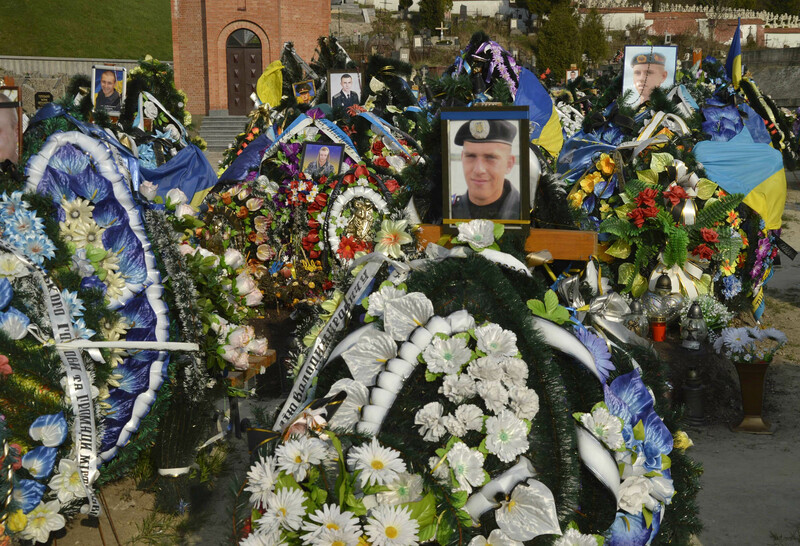 The wreaths are still fresh on most of the graves. 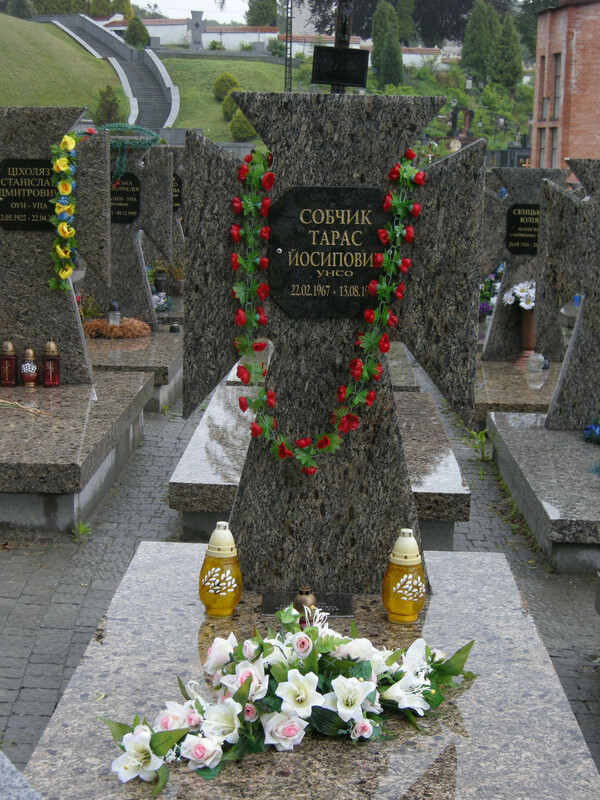 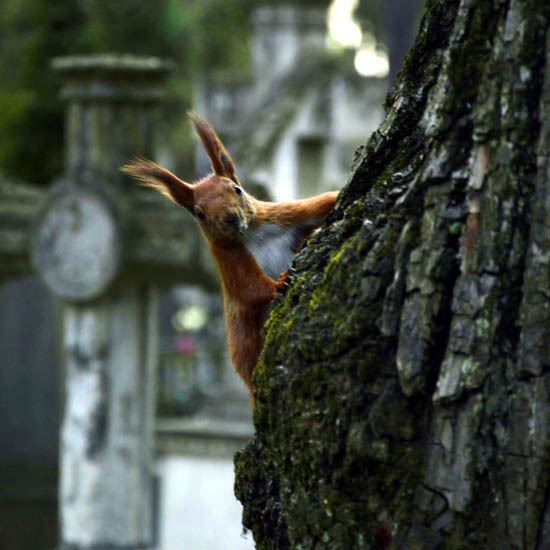 On Easter Sunday there are visitors at almost every grave, family, friends, many in military uniform, with some even visiting two or three graves. They are already over the first shock, they perform mechanically and with dry eyes the rituals of grave visiting. 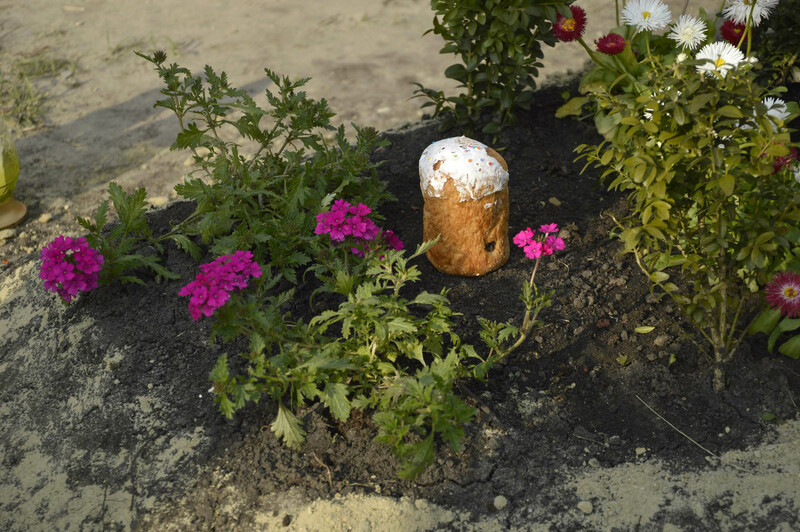 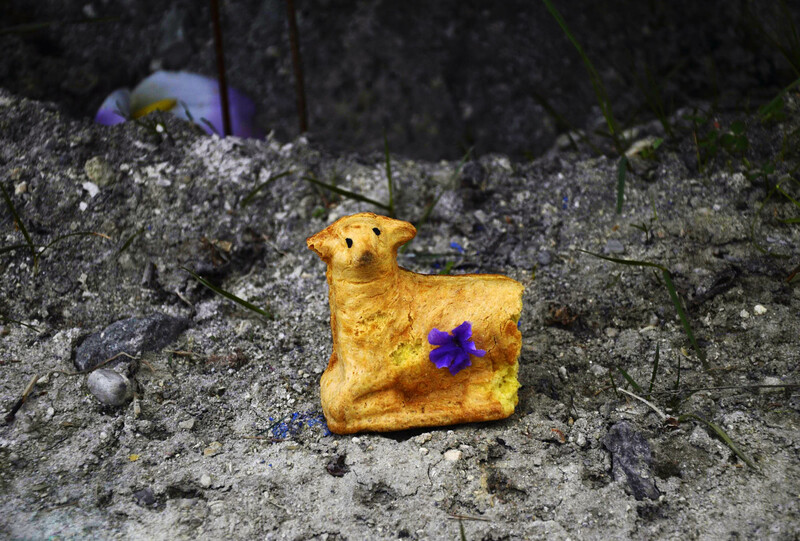 They do not speak, they do not even eat, they only place on the grave, from the Easter basket brought with them, a loaf of Easter bread, eggs cut in half, a lamb-shaped cake.